Dad of Divas' Reviews: Game Review - Hedbanz Act Up! Get ready for the performance of a lifetime with Hedbanz Act Up. This fast-acting family game will have everyone rolling with laughter. Each player draws a Game Card and matching colored headband. Once everyone has drawn a random card it's time find out if you're a "place", "person", or "thing". The Guesser will roll the dice and whoevers color turns up has to start Acting Up. Start the timer and watch the Actors actions closely as you guess what's on your head. Am I a Museum? Spider-Man? An Earthquake? 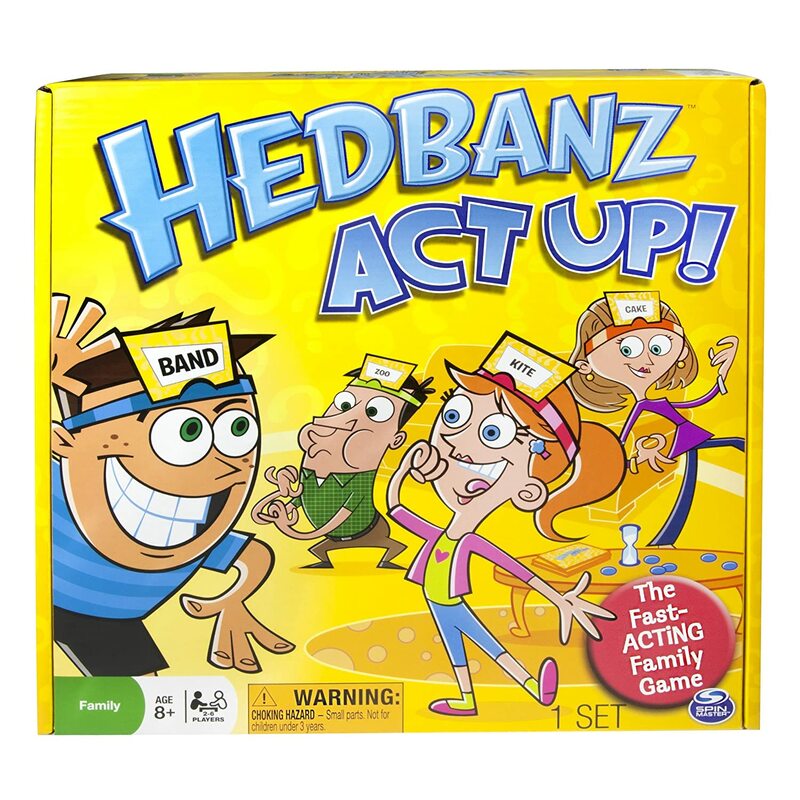 Hedbanz Act Up is the ultimate family night fun for 2-6 players ages 8+. Act fast with the fast-acting game of Hedbanz Act Up. Hedbanz Act Up! is a fun, fast paced, and simple game that's perfect for any game night, giving everyone from Junior to Grandma a chance to shine. My kids and our entire family have a ton of fun playing Hedbanz, and this new game is just as fun. 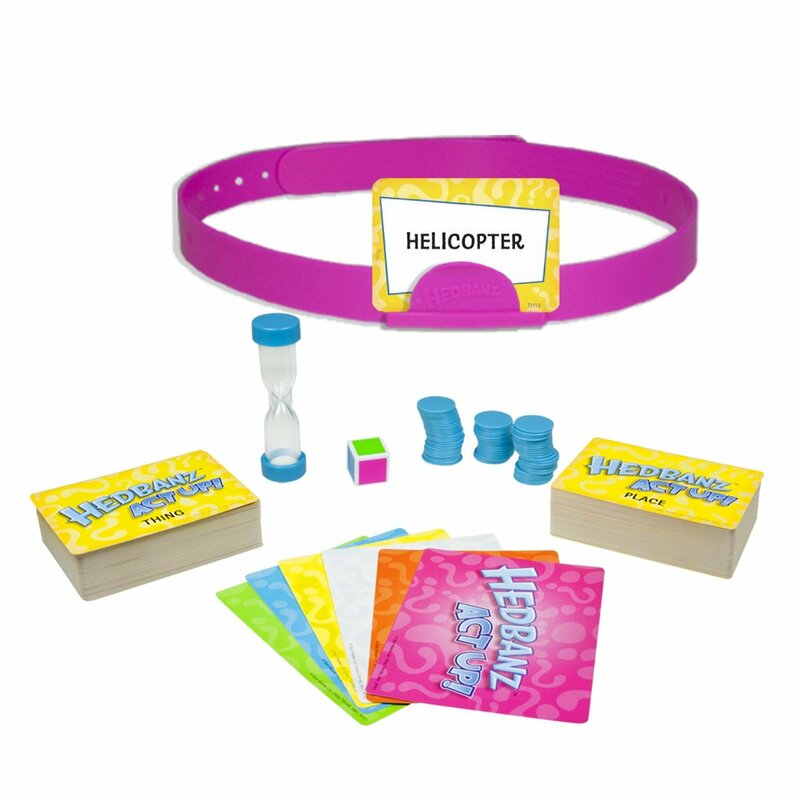 Think charades with a twist and you will have this new game. The game itself was a lot of fun and we had a blast trying it out. You definitely need to be able to read, so young non-reading players will have to have a partner who can whisper in their ear what they are acting out. This game will definitely keep you on your feet, having fun as an entire family for hours (or at least it did for my family)!